Today we’re sitting down with hair and makeup artist, Taylor Olivares of Taylor Glam. Taylor is Dallas-based and specializes in bridal + wedding day makeup. What are five words that describe you/your brand? Dependable, creative, bright, efficient, and energetic. How/when did you enter the industry? I entered the industry in 2016, first working as a intern for another makeup artist while also taking on a few gigs on the side mostly doing photoshoot makeup for various photographers in DFW. What should a bride look for when shopping around for a HMUA? When looking for a HMUA for your wedding day, you should really first determine your personal style. For example, you may love the look of dramatic makeup on others, however, for yourself you might prefer a natural look. After you determine your style, you should look for someone with a good reputation, reviews, solid portfolio and someone who is willing to take the time to get to know you and your personal style. Always remember if the price seems too good to be true, it most likely is. What can a bride expect to pay? A bride should expect to pay anywhere around $275-$575 for their own hair and makeup and anywhere from $125-$200 per person for the bridal party. I get asked quiet a bit why the bride’s cost is higher than everyone else's and that is because of the time and detail it takes to handle the bride and bridal party. A good makeup artist will speak to their bride several times prior to the event date to ensure they understand the bride’s wants and needs on their big day. 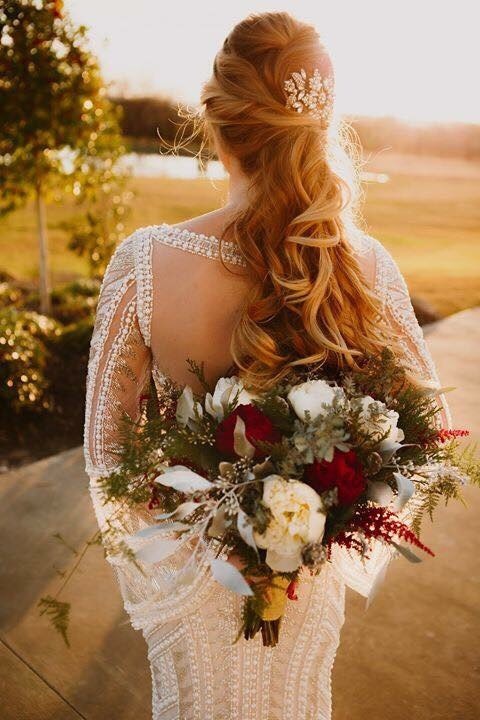 In addition, the lead makeup artist is ultimately responsible for the entire bridal party even if their assistants are the ones working on the bridesmaids. What is something you wish brides knew before booking a hair and makeup artist? I wish more brides understood that ultimately you get what you pay for. I’ve had many brides contact me the day of their wedding upset and crying that their makeup artist canceled on them last minute. This has become a recent issue as social media has made it easier to locate what I like to call “fake up artists”. A “fake up artist” is someone who is not professional but offers services for lower prices. In addition to risking a no call no show, you are also risking hygienic and sanitary type issues as they most likely did not invest in any proper training on disinfecting their kit. Another red flag would be if your makeup artist does not provide a written contract or have standard rates. Why should a bride hire a professional instead of doing it themselves? Well, the reason is really simple. An industry professional is trained on techniques to highlight your best features and also disguise possibly less flattering features. It is just a myth that brides have a natural glow on their wedding day and the makeup artist is the secret recipe behind the “glow”.